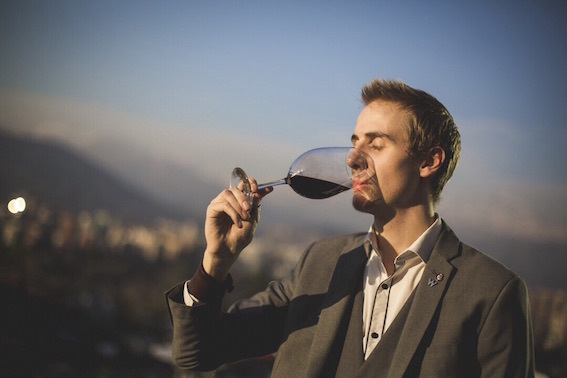 Leading the charge at The W Santiago, French sommelier Quentin Loisel moved to Chile two years ago. He is preparing to take the Court of Master Sommeliers certified exam in October. Fifteen minutes ago, I paired mille-feuille with aniseed-infused pear pearls and vanilla ice-cream, with Torres’ Nectaria Botrytis Riesling 2009, served in lab test tubes. Quentin Loisel of The W Santiago. Twelve-year-old Yellow Spot Irish whiskey, with five drops of water while studying maps of South Africa’s vineyards. Bordeaux, because I grew up there and the history of everything that happened there up until now – the Roman empire, the English kingdom, Dutch business and help, Irish families, Chinese investment – and it’s fascinating. If not my own town, Jerez, because the process is genuine. I love the fact that the wines are so different between them and I believe that using adversity (oxidation) as a strength is a priceless life lesson. Sharing moments, emotions and pleasure with customers. What’s he best thing that ever happened to you as a somm? Being invited to be at the wine service of an iconic Champagne tasting led by one of my gods/role models: Héctor Vergara MS. The one that’s the reason for long-time friends to have memories together and make new ones.